If you have an outdoor garden, you may want to add decoration to it to further customize the space. If you are on a budget or just enjoy getting new life from old pieces, consider decorating your garden with recycled materials. Decorating with these materials is not only aesthetically appealing, but it is also environmentally conscious. There is no limit to the decorations you can make with pieces that would otherwise end up in a landfill. 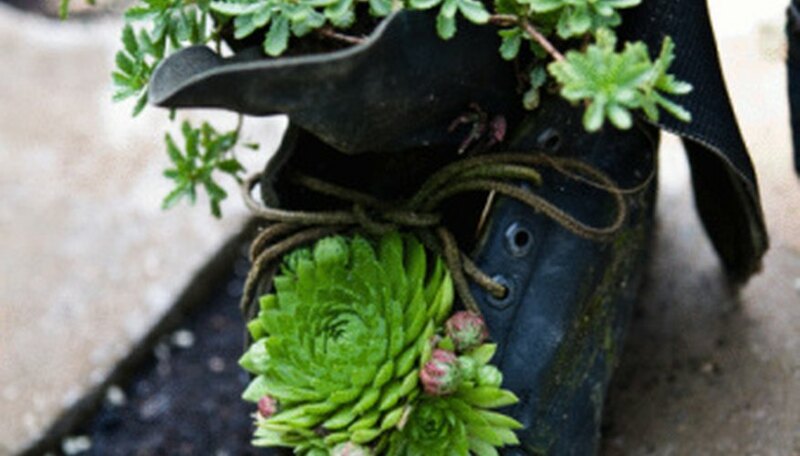 You can use recycled items to create decorative planters for your garden. Large coffee cans can be used to house plants and add color. For the best drainage for your plants, place the plants in a ceramic or plastic pot with holes before inserting them into the coffee cans. You can make other recycled planters from old cookware that would otherwise be thrown out or donated. Old tires can frame your planters as well. Remove the rim from the tire and place the rubber around the plant. You can paint the tires in different colors to coordinate with your home’s colors. A bold water feature can add drama and charm to your garden. You can even use recycled materials to make this feature. For example, try making a birdbath that will add interest in your garden and provide an area for wildlife. To make an easy birdbath, dig a shallow hole to fit a plastic garbage can lid. Fill the lid with gravel and pour water over the top. You can also make a fountain water feature by feeding a hose through the spout of a large recycled watering can. Use a plastic child’s pool or large tub as the basin for your water feature to collect the water. Lighting can add a decorative touch to your garden. Try making lanterns out of recycled tin cans. Clean several cans thoroughly. Scrape off the label and glue with warm, soapy water and a flat-edged tool. Puncture several holes in the sides of the cans by positioning nails where you want the holes and punching them out with a hammer. Punch holes in either side of the can to thread ribbon or wire through to make a handle. Place votives or tealight candles inside the can and arrange the lanterns around your garden. If you are growing a variety of plants in your garden, you may want to label them with decorative name tags. You can use old scraps of metal and tie them to stakes in your garden. Paint or press the name of the plant into the metal pieces. For other decorative pieces, you can make any number of statues by soldering together old metal pieces from the junkyard. Paint as desired to add color and detail.